Hi I want to know who is Bao Yixin and provide me the details of Bao Yixin? Bao Yixin is a very successful Chinese female badminton doubles player who competes at the highest level for some years now. She won the Women's Doubles category with many different partners. She has quickly made the world sit up and take notice of her skills, courage, level head and world-class performances. In 2010 she remarkably conquered two World Junior titles at the 2010 BWF World Junior Championships held in Guadalajara, Mexico. 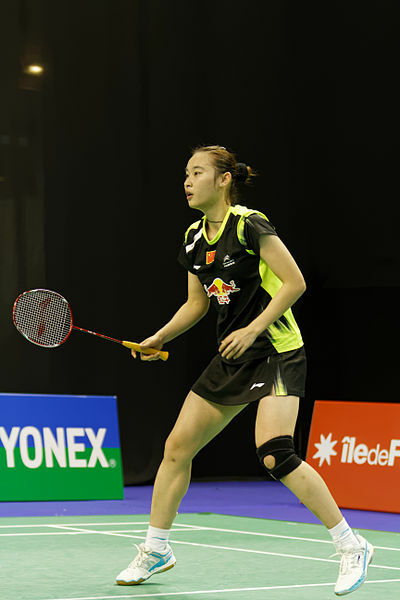 In the Girls Doubles event she was crowned BWF World Junior Champion 2010 with Ou Dongni. She also won the Mixed Doubles at the 2009 Asian Junior Badminton Championships with Lu Kai and the Mixed Doubles at the 2010 Asian Junior Badminton Championships with Liu Cheng.